Android gamers have been waiting a long time for world-class publishers and developers to start creating mobile games with the same dedication that consoles and PC get. It looks like we'll have to wait just a little bit longer. Yesterday Square Enix and Eidos Interactive announced Deus Ex: The Fall, a full entry in the much-loved Deus Ex series, set in the same time period as 2011's Human Revolution. The initial media blitz has a lot to say about the iOS version of the game, due "soon," and almost nothing to say about Android. 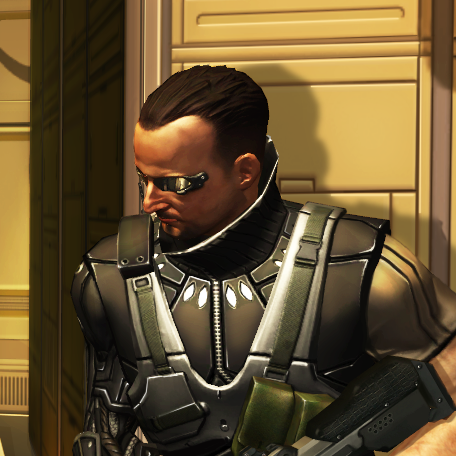 An Android release is coming, according to a the very last sentence in an Eidos community blog post. But it's clear that the world's most-used mobile platform is playing second fiddle - the designers and producers in the announcement never mention Android, all the demonstrations are from the iPad, et cetera, et cetera. 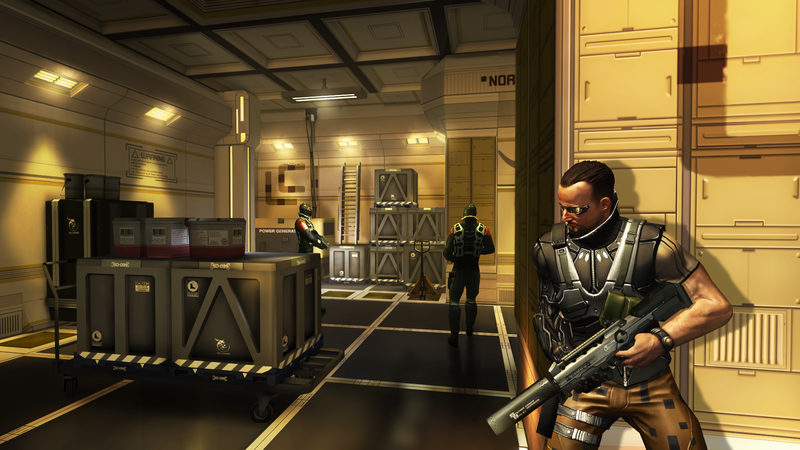 The most we can confirm is that an Android version is currently being planned... but if Deus Ex: The Fall doesn't deliver the goods on iOS, don't expect it to jump platforms anytime soon. The game itself looks pretty amazing, at least from a mobile standpoint. 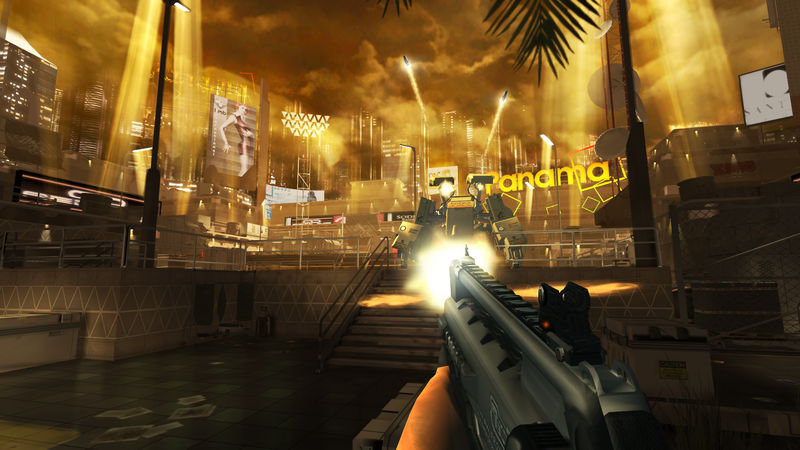 The interface incorporates a lot of the first-person shooting and cybernetic abilities of Human Revolution, with an immersive story, top-of-the-line graphics, and a touch interface that's completely customizable. For those who are fans of the Deus Ex mythos, the plot of the game immediately follows the novel The Icarus Effect, as a British mercenary with advanced augmentations travels the globe trying to unravel another of the Deus Ex world's many conspiracies. Make no mistake, we're not really surprised at the slight to Android, we're just very disappointed. Games releasing on Android months or years after iOS is still a pretty common phenomenon, though it's becoming more rare. (Square is definitely in the former category there - Final Fantasy IV was released on Monday for Android, six months after iOS.) It's just too bad that Square Enix and Eidos Montreal aren't as dedicated to multi-platform support on mobile as they are elsewhere - Human Revolution had a simultaneous release on the PC, Xbox 360, and PlayStation 3. By the way, Android gamers, if you think you're upset, you should see some of the hatred spewing from PC and console Deus Ex fans over a mobile-only release. Developed by Square Enix’s Mobile division in Europe, in collaboration with the original DEUS EX: HUMAN REVOLUTION® team at Eidos-Montréal and N-Fusion, DEUS EX: THE FALL is a story driven action-RPG and the first DEUS EX in the series to be released on mobile and tablet devices. 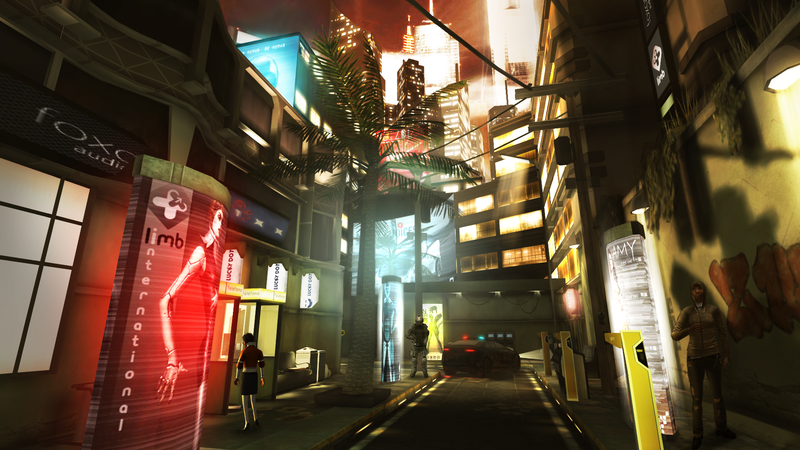 The game includes never before seen characters from the novel published by Random House, DEUS EX: THE ICARUS EFFECT, picking up directly where the book finishes. “Smart devices are central to Square Enix’s platform strategy and we approach it with the same attention as our boxed and digital releases. 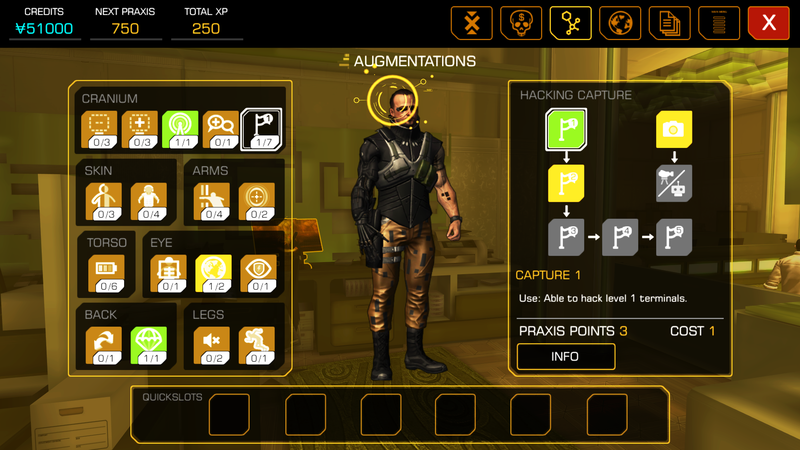 DEUS EX: THE FALL is going to be testament to our commitment in delivering high quality entertainment on mobile and tablet devices,” said Antony Douglas, General Manager of Square Enix Mobile. Priced at $6.99/£4.99/5.99€, the first instalment of the mobile series will be available this summer. DEUS EX: THE FALL will be playable at the Square Enix booth at this year’s Electronic Entertainment Expo (E3) in the South Hall #1647.